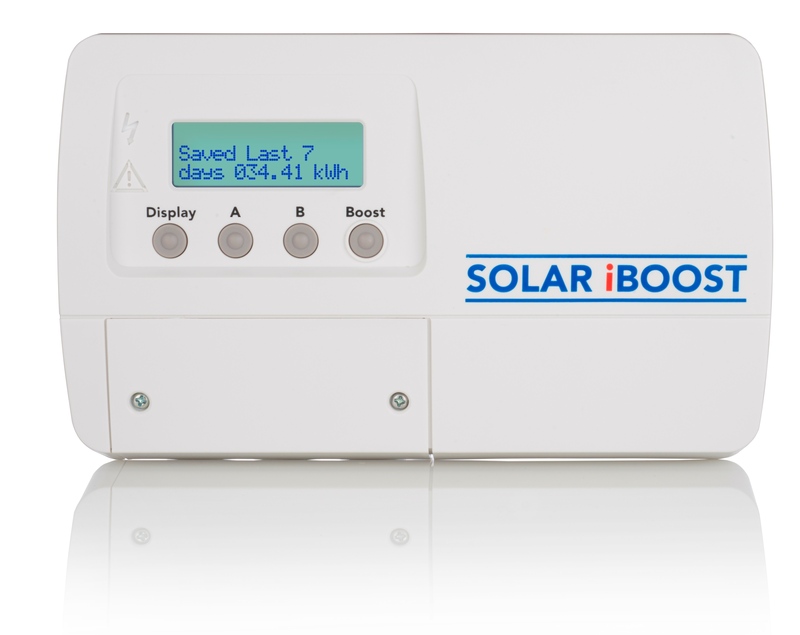 Solar iBoost is a new innovative product designed to optimise the excess solar energy created from your PV installation. Reduce the use of your boiler. Solar iBoost uses ONLY surplus photovoltaic energy generated that would usually be exported, unlike some similar products. If you have a hot water tank with an immersion heater, the Solar iBoost can increase the return on investment of your solar panel system. The export rate for electricity is lower than the cost of purchasing electricity from your energy provider. It therefore makes sense to consume as much of your generated energy as possible. The Solar iBoost is ideal if you are out of your home a lot during the day, especially in the summertime. Alternatively if you have a large solar array and little energy usage. During the winter, the iBoost will pre-heat your water with any excess PV energy generated. This means you can save throughout the year. The system works with wireless receptors, creating a no mess, no fuss installation. The “sender”, which is typically located next to your electricity meter. The Sender has a clamp which monitors if electricity is being fed back to the grid or not. You may be at home and, for example, only be using 20-30% of the energy produced by the PV array. This information is picked up and transmitted to the Solar iBoost. It cleverly knows just how much energy to release to the immersion. Even a steady flow of just 200W to the immersion will start to raise the temperature and save you money. Contact Coretech Solar today to find out how Solar iBoost can benefit your solar panel array. To view the Solar iBoost YouTube video please click on the link below.